We homeschool (worldschool) our daughter while we travel the world. 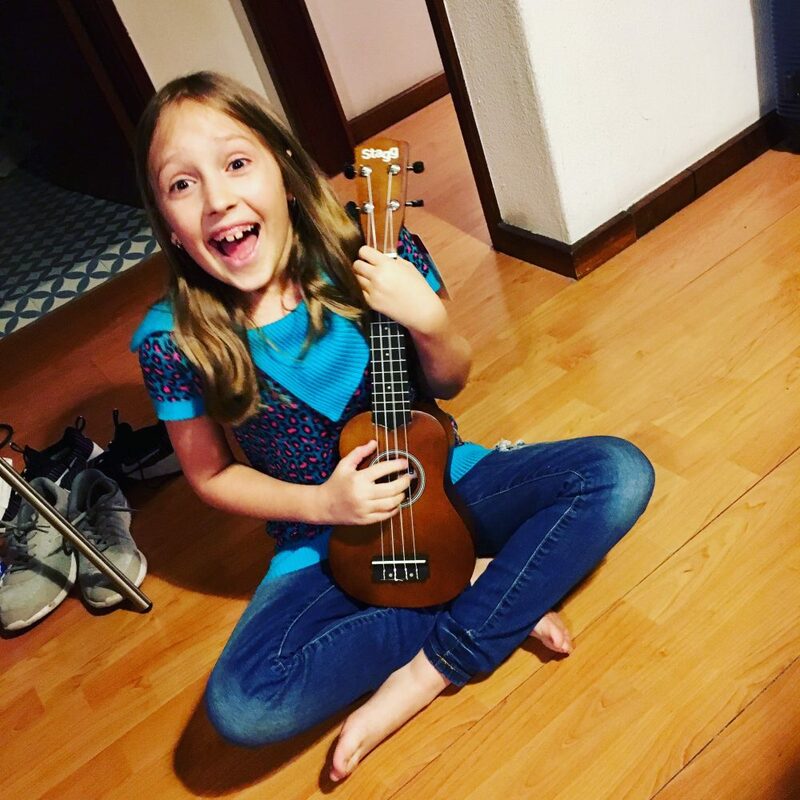 As a digital nomad family, we are continuing our daughter’s education by homeschooling (including plenty of worldschooling). Music lessons are now part of the curriculum. Ukulele, anyone? You’d think it might be difficult to world travel as a digital nomad family, while taking music lessons, packing an instrument, and maintaining minimalism. In other words, we travel the world with backpacks and only one checked suitcase in an effort to decrease travel drag. How can we travel with a musical instrument? Learning Piano Online For Free! OMG Packing For Europe Was HARDER Than I Thought! Train Travel vs. Plane Travel in Europe – I Like Trains! We’re Go Girls! 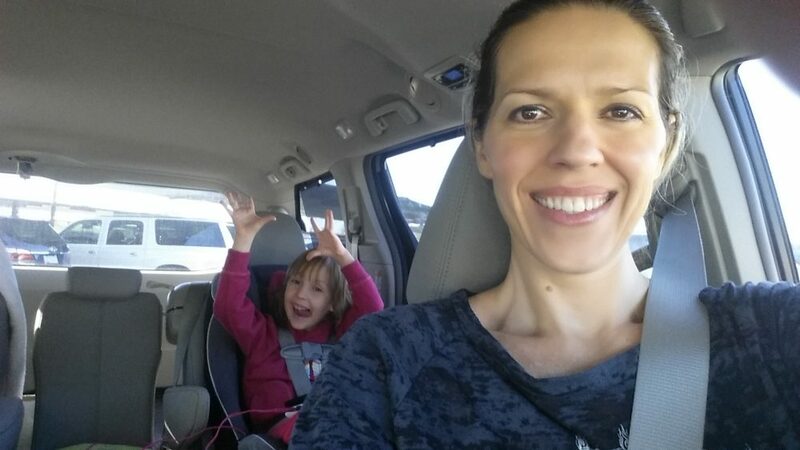 Field trips and Homeschooling. Here we go! Homeschool fun out and about. 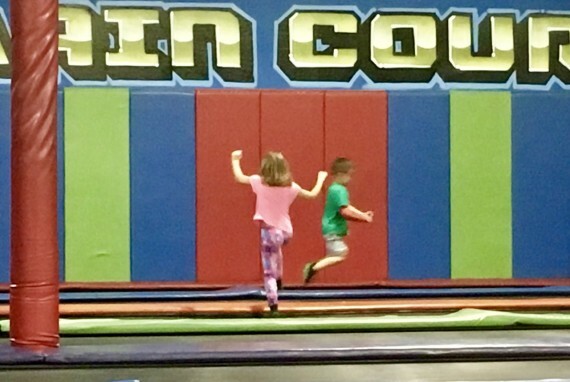 I’ve recently dubbed my daughter and myself, The Go Girls, as we have been just getting up and going for all kinds of activities lately. 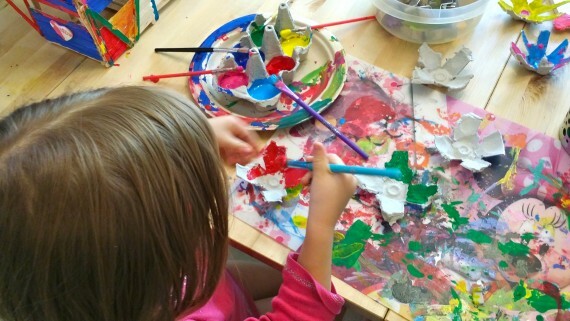 Most of you know that we homeschool though I’d kind of lump us into the unschool category, which I prefer to call FUNschool. Our lives are about learning through fun activities. And you know what? It works. She is learning to read, spell, and write by texting on her iPod and playing Words with Friends. 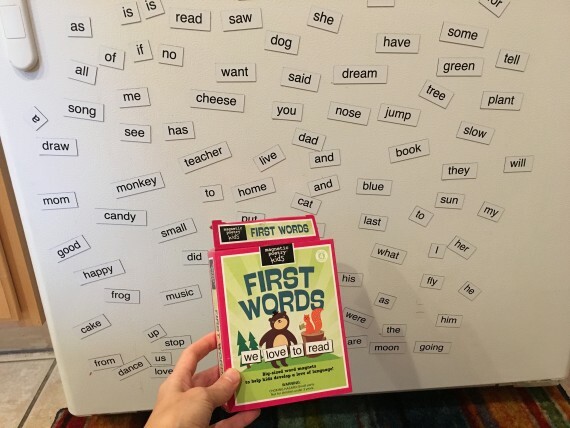 We read books as well but there’s no pulling teeth with all of these fun alternatives. We learn math with cooking, board games, and simply talking about numbers out loud so she can see how to manipulate them to get the answers to questions. 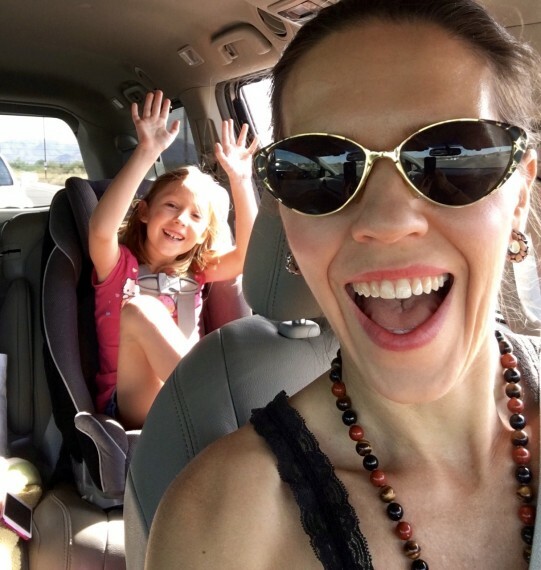 When we have longer car rides to activities, it’s a ripe time for conversing about everything from zombies to politics (maybe that was the same conversation). Kamea is full of questions every single day. Being able to answer them all in the moment, or help her find the information when I don’t know the answer, is a blessing. I want to take learning to a global level in the near future. In 2005, Maya Frost and her husband sold everything and left their suburban American lifestyle behind in order to have an adventure abroad. The tricky part: they had to shepherd their four teenage daughters through high school and into college. This hilarious and conspiratorial how-to handbook describes the affordable, accessible, and stunningly advantageous options they stumbled upon that any American student can leverage to get an outrageously relevant global education. Ready to ditch the drama of the traditional hypercompetitive SAT/AP/GPA path? Meet the bold American students who are catapulting into the global economy at twenty with a red-hot college diploma, sizzling 21st-century skills, a blazing sense of direction–and no debt. 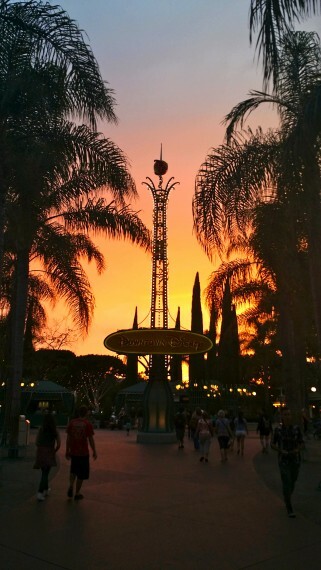 I always knew we’d travel, in some way, someday, to other parts of the world. Upon completion of Global Student, it easily clicked as to how we would actually do it. In 2018, we’ll sell some stuff, put the rest in storage, pack some suitcases and take off. 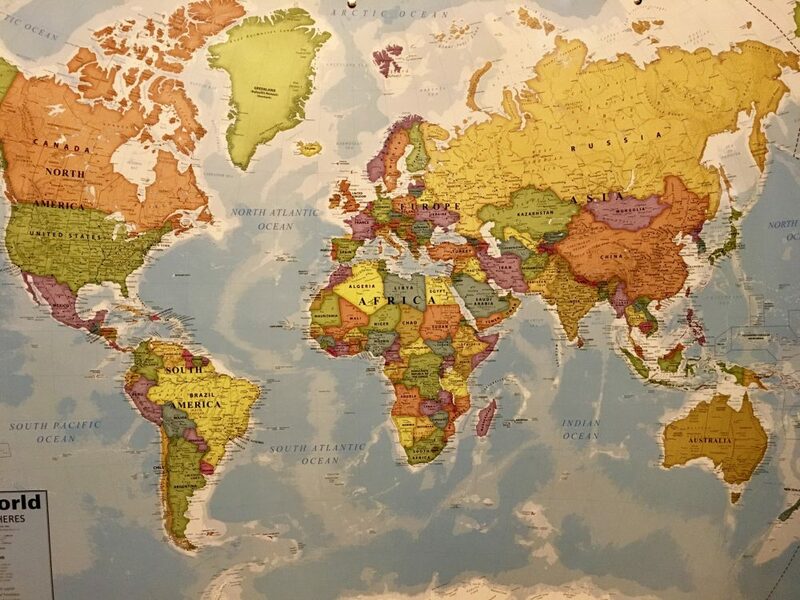 I’m only in the very beginning of researching this but we’re considering south of France (and other parts of Europe), the Yucatan Peninsula of Mexico, and/or Costa Rica. Probably all of them eventually. For now… here’s our world in Arizona. These are some things we’ve been doing to have fun and learn at the same time. 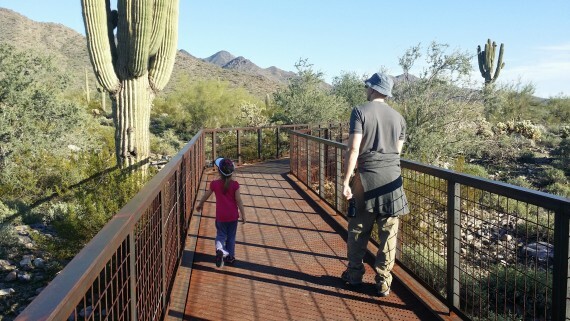 The various parks offer homeschool classes and family activities that are loaded with hands-on learning. Kamea is feeding a sweet and hungry tortoise some prickly pear. 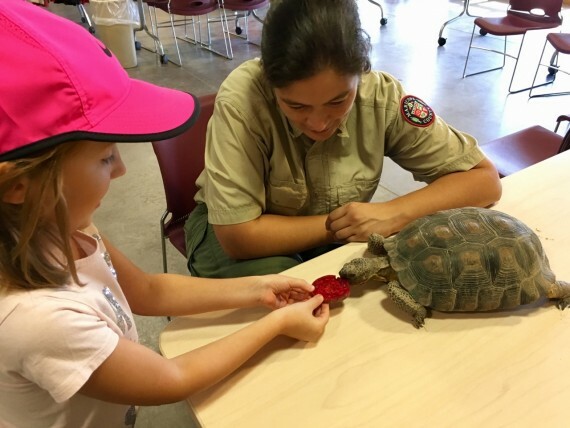 Watch your fingers – feeding a tortoise. 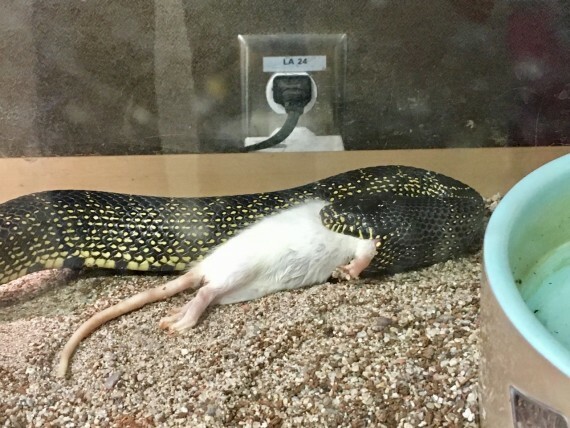 I’ve always thought snakes were cool and witnessing this king snake eat a dead rat was fascinating. Rat was dead prior to feeding. We also saw a rattlesnake have her lunch, too, which was epic. 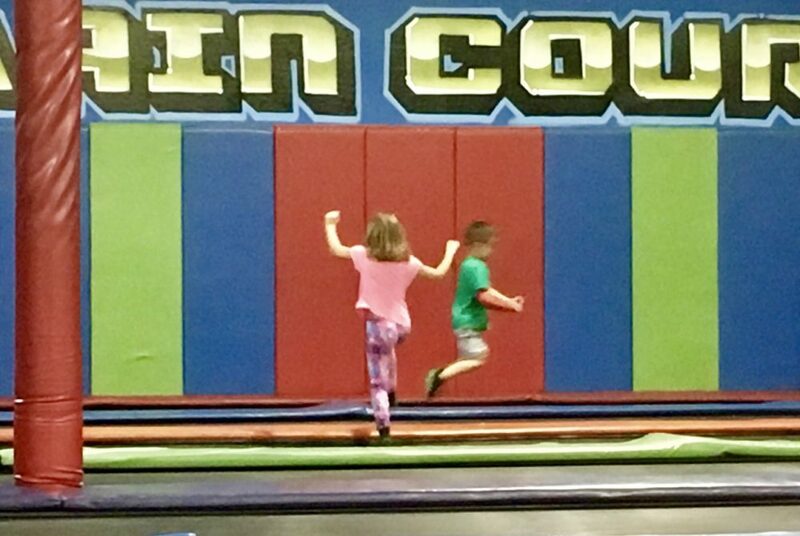 We like jumping at an indoor trampoline park. Great exercise and ridiculously fun. 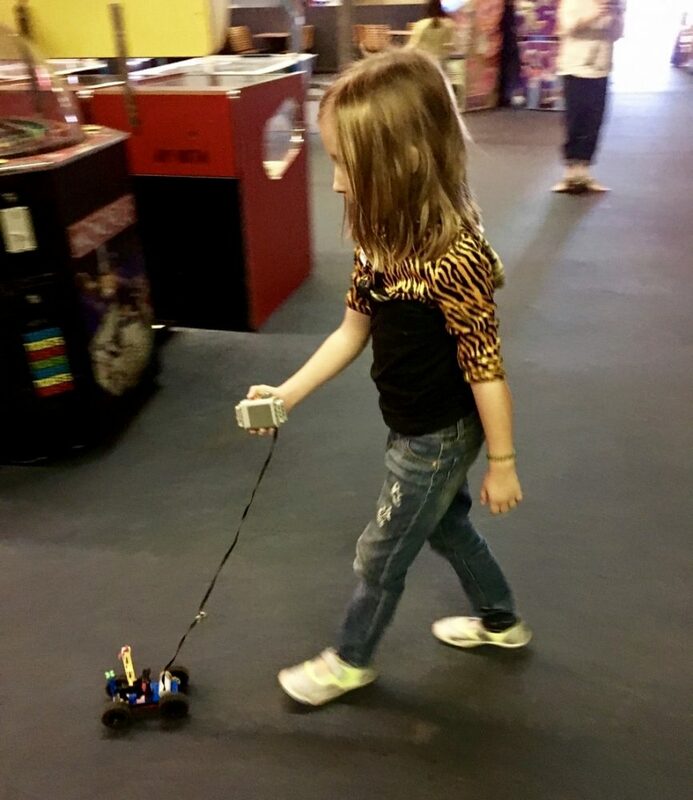 Kamea is enjoying a Lego Engineering class where she built a battery-operated car. Kamea in Lego Engineering class. We celebrated Dia de los Muertos in Phoenix which was quite the event. Now that I’ve had a taste of this locally, I can’t wait to visit Oaxaca to witness it there someday. 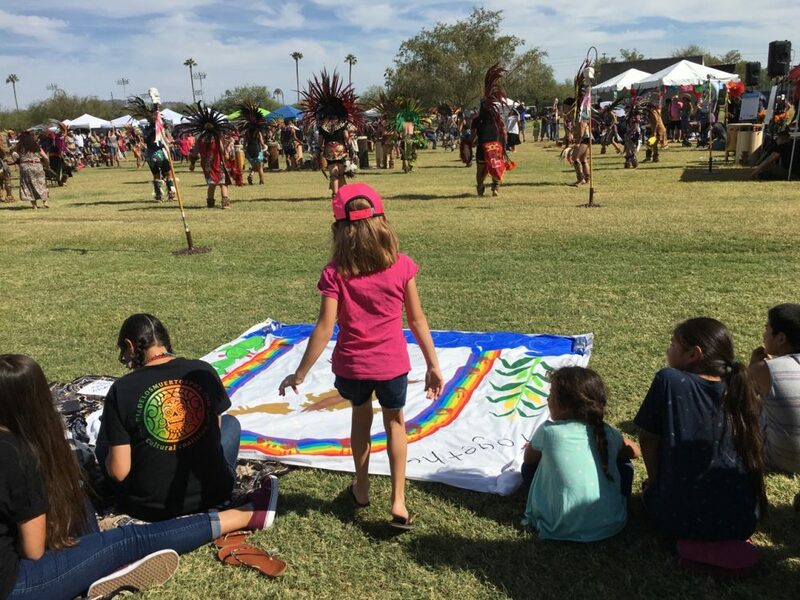 I’m grateful Kamea can experience some culture like this in Arizona. She sat at a table filled with Spanish-speaking kids, learning and having fun. 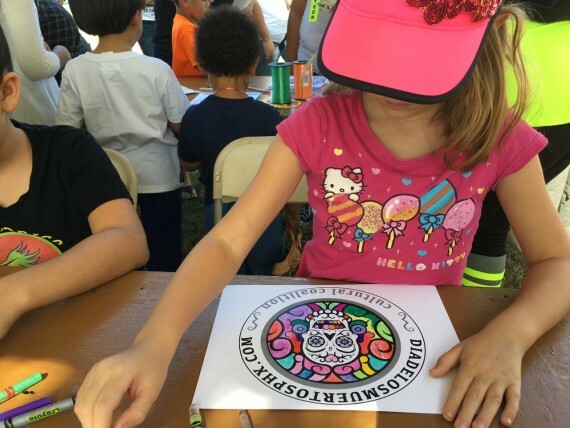 Art with other kids at Dia de los Muertos. 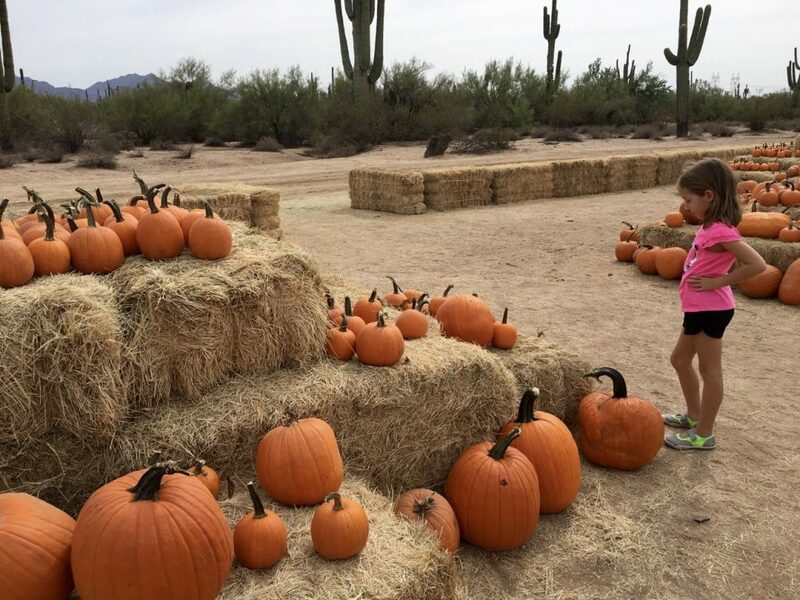 We visited a pumpkin patch which was filled with activities and fun including a train ride, hay ride, games, animals, and horse rides. Even though I’ve been in Arizona over a decade, I’m still not used to some holidays here. Seeing the cactus in the backdrop is weird different. 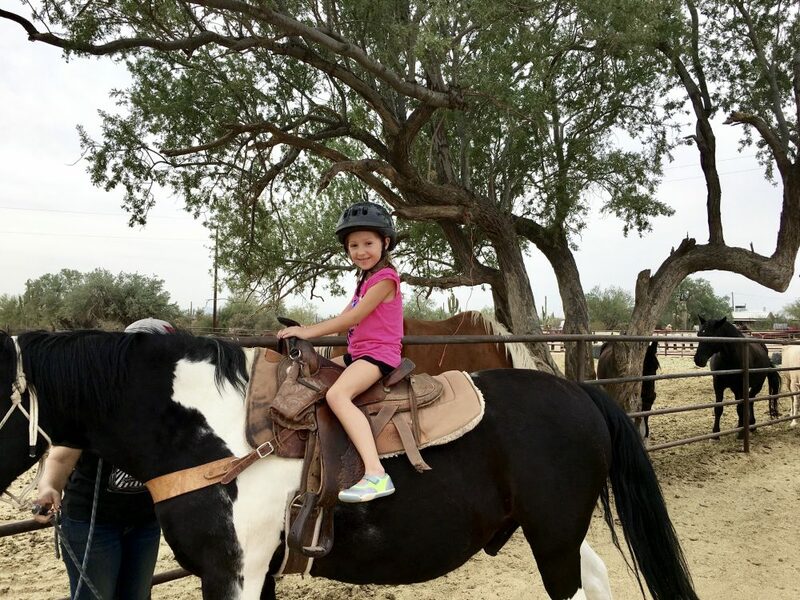 Kamea wanted to ride the horse so badly! When I got to the part where I could choose the non-mandatory helmet, I was struck with protecting my child’s brain in the event of a fall or saving her from potentially getting lice with this community-helmet (ewww). Obviously we went with the helmet but next time I’m bringing her own. We’re Moving Abroad to Travel the World… Forever? A day with my kiddo. 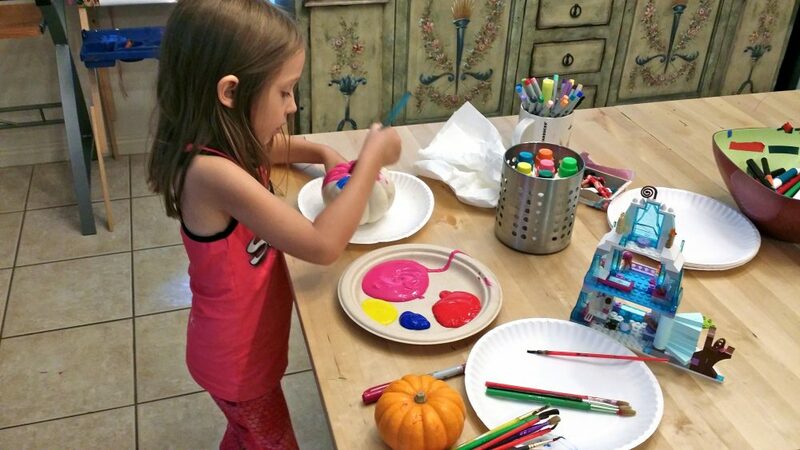 Homeschooling with unschooling. 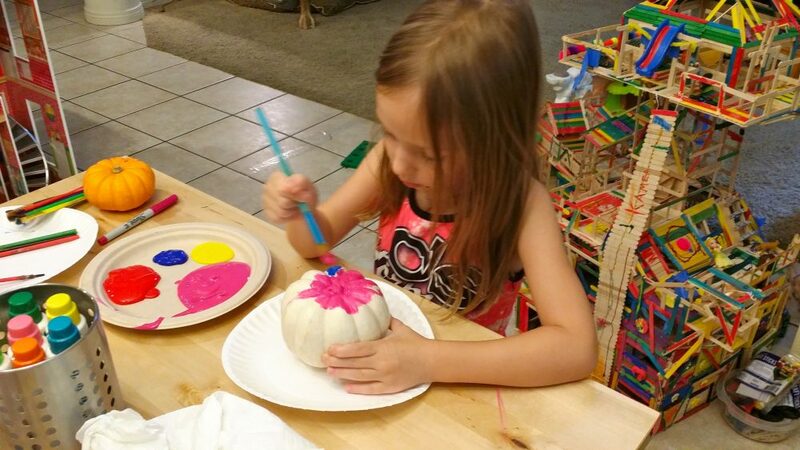 My daughter is five years old, and on this day of homeschooling, we did mostly “unschooling” (basically teaching through life experiences instead of having a set curriculum). Electric cars – we talked about electric cars as we walked by them at Whole Foods in the parking lot. The discussion was why they can be important, how they work, and benefits to drivers of electric cars. Barrett Jackson Auto Show – this is an annual event in Scottsdale and when it’s here we frequently drive by it, which brought it up for discussion. On this day we discussed what it was, why, and antique cars. Colony Collapse Disorder – After seeing a bumble bee on a reusable shopping bag we discussed colony collapse disorder which involved what it is, theories about why it’s happening, and what we might do to help. Reading – She read words on signs at Whole Foods. Omega Fatty Acids – I’ve been diving deep into learning about omega fatty acids. While reading about them, Kamea asked me to tell her about them. So, we talked about the differences in them (n-6 vs n-3), their importance and health implications, and what foods have which. Physical movement – We climbed our stairs for 15 minutes, up and down. 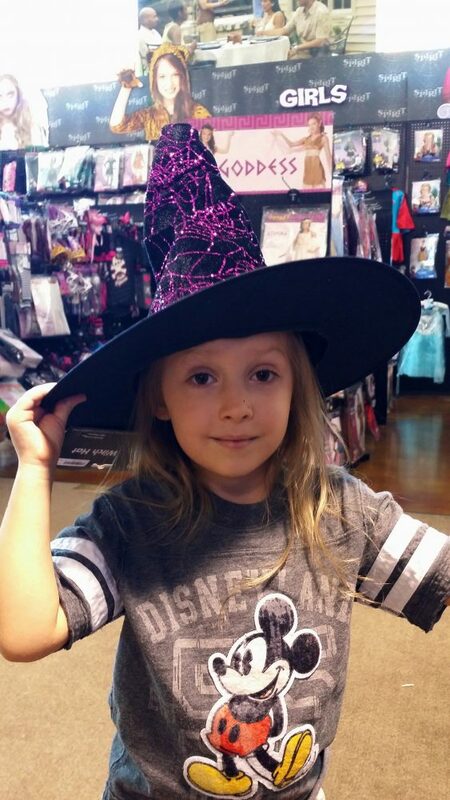 Reading – She read a beginner book to me and did a math worksheet (we wouldn’t usually use a math worksheet with unschooling, but on occasion I like to check in with what she knows. Games (to learn math) – We played Yahtzee Jr, Monopoly Jr., and Play Nine where she practiced math without realizing it. Now, that’s unschooling. Art – She did a lot of art (that’s daily). She loves painting, drawing, stamps, and this DohVinci is a new fascination. Dolls – She played dolls with Greg, where used the opportunity to teach while playing. That’s not all we did but that’s off the top of my head. Oh: Here’s a great buy: I recently bought these refrigerator magnets to make reading and sentence formation way more fun than worksheets. Hemp Omega Caesar Dressing – This is Good! As a mom who doesn’t give her kid candy unless it’s dark chocolate, Halloween is a tricky situation (pun intended)… until now. To tell you the truth, we have a lot of things we do to celebrate Halloween and all without the traditional trick-or-treating. For starters, we begin the celebrating with decorations at the beginning of October. This includes wall clings, scary music, carving jack-o-lanters, hanging skeletons from the ceiling, and more. 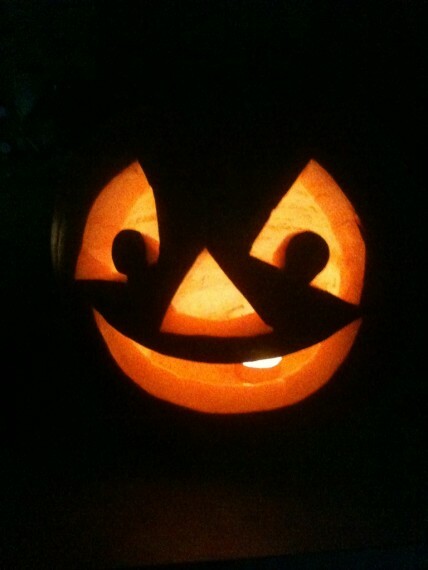 This starts at the beginning of October to ensure a healthy dose of Halloween-ness. Halloween is a whole month celebration for us. 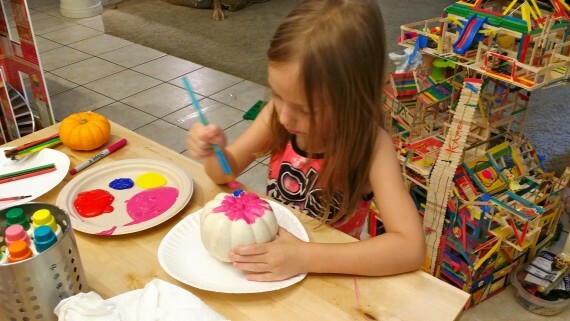 Kamea painting a small pumpkin for decoration. When the actual day of Halloween arrives, we have a Halloween Hunt where we hide dark chocolates and little trinkets, toys, stickers, etc around the house (or where ever we are). Another thing we often do is travel during this time to make it extra special… with costumes, of course. Travel to Flagstaff, AZ. A spooky town. What kid wouldn’t want to go to DISNEYLAND for Halloween? 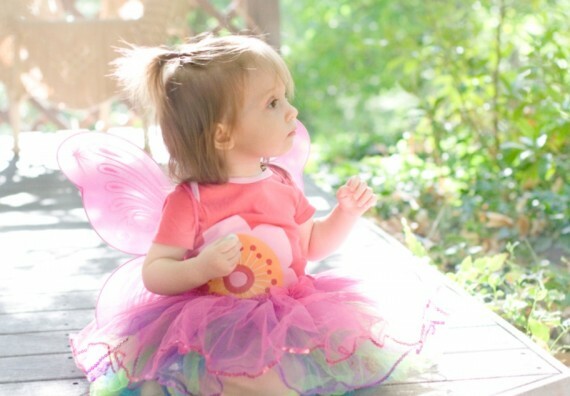 16 months old, as a fairy while traveling to Sedona, AZ for Halloween. We don our costumes many times(!) during the weeks before Halloween. Myself included. I wear this costume pretty much every year. 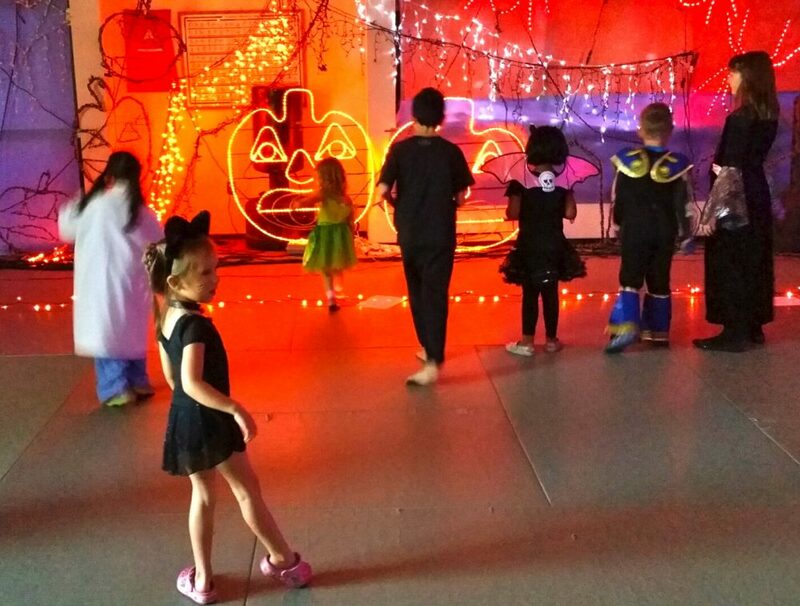 We go to Halloween parties… like this one at her Karate Dojo. Halloween Party with a light show and dancing. I remember growing up, my mom gave us money for the candy we collected trick-or-treating, which we always preferred over eating the candy. That’s another idea. A walk down memory lane with Kamea’s first Halloween. 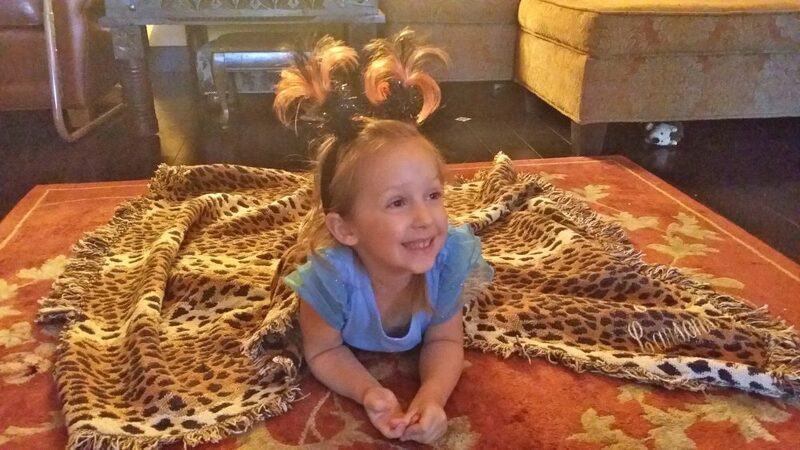 This was Kamea’s first Halloween costume. 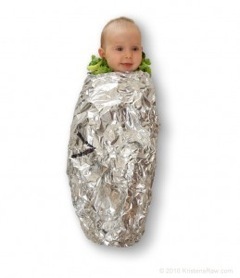 She was a Chipotle Burrito. We swaddled her in an organic blanket, first, and you can see the rest. Foil. Organic lettuce. I actually thought she’d hate it because she’s not big on the swaddle thing, but she was a real trooper in her costume as Greg took photos. I loved candy when I was a kid, but when I became a mother, I worried about my kids eating too much of the stuff. Still, I’ve never banned it from our home. Now, when my children come home on Halloween night, examine their candy, and go to bed without asking to eat a single piece, it’s not because I’ve forbidden it. It’s because they have better ideas about what to do with it. It began with a simple question three years ago, when I was overwhelmed by our collection of Halloween candy. 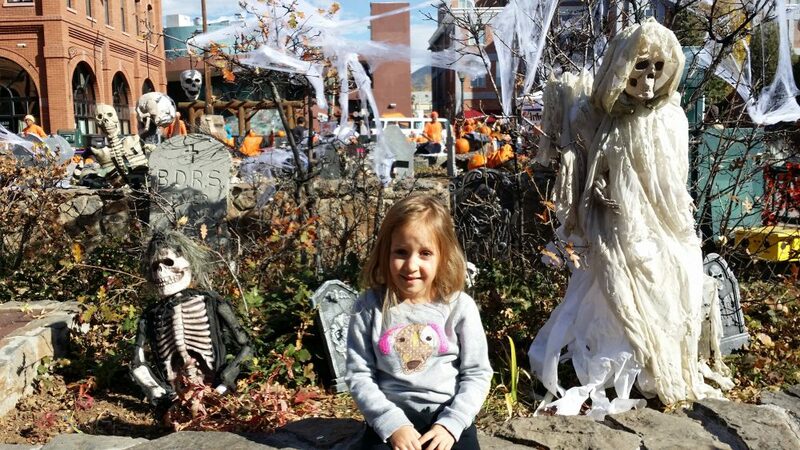 An afternoon with too-generous coworkers, a church Trunk-or-Treat (i.e., collecting candy at every car in a full parking lot), and a subsequent trick-or-treating expedition up our street had provided my four-year-old princess and two-year-old cowboy with mountains of candy. But since the candies had been the gifts of kind friends, and of elderly neighbors on fixed incomes, I didn’t want to throw them all away. Instead, I decided to dole them out one piece at a time. Handing out pieces after lunch was painful—the bowl loomed enormous atop my fridge, and I knew that at this rate we’d be eating candy for months. I almost missed the moment. I was cleaning up the lunch dishes, and didn’t want to get out another one. Besides, the experiment sounded messy and wasteful (even though I’d just been agonizing about how to get rid of the stuff). I brushed her question aside, hoping she’d forget it. Instead, she asked again. I got her a white, unspillable mug, filled it with water, and set it down in front of her. She poured in her strawberry Nerds, examined them, stirred them into something the color of raspberry lemonade, and examined the cup again. Then I dumped it down the sink. That was our first candy experiment. Now, that’s a good idea for candy. Food Journal – Sunday’s Eats! In spite of going to the gym for an hour a day, most days, I feel like my life is missing more movement. But, how could that be? I go to the gym almost daily. Surely that’s adequate. I took a look at our lives recently and realized there’s just too much sitting… whether it’s eating food at the table, working on computers, playing video games, watching TV, or reading, I had to admit that we’re members of the species homo sedentarius. Sitting this much just doesn’t feel right. And research says that “sitting is the new smoking,” meaning deadly… even for people who exercise daily! Yikes. So, on a whim I suggested to Greg that we get rid of our couch, which would make us move more. It was just an idea that made sense to me. He wasn’t buying it. I mean, who doesn’t have a couch? Well! Turns out, I’m not the only one to think about this. Apparently there is a movement (pun intended) known as “furniture-free” and I can’t help but be intrigued. There’s even experts on the topic. When Greg heard Katy Bowman, ummm, an expert, he realized it wasn’t just a crazy idea of mine – people are doing this. Painting our Pinterest inspired art project. More often than not I tune out the moms gushing about Pinterest inspiring their kiddos birthday parties, home decorations, or art projects. It’s just too much for me. I mean, who has time for that? Surfing Pinterest, getting supplies, and then making all of those projects? Good grief. Well, there’s a first time for everything I guess. BIG NEWS!!! Our Kickstarter Project is LIVE! PLEASE SUPPORT! Have You Ever Heard of Subscription STEM/STEAM Kits for Kids?